Greenpeace is an independent organization that does not take money from corporations or government. 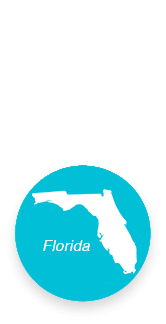 We rely on individual donations from people just like you to do the work we do. "Samsung, Clean Up Your Act!" You’ll find common threads you might not expect in this issue, like between the Arctic Sunrise’s exciting voyage to one of the most remote areas on Earth and what’s happening in Indonesia’s irreplaceable rainforests. From the tiniest krill to the blue whale, the biggest animal in the world, we can protect them all with the establishment of an Antarctic Ocean Sanctuary. And by making it a global priority to defend Indonesian forests from the paper and palm oil companies destroying them, we can save an amazing treasure trove of animals, including critically-endangered orangutans and Sumatran tigers. The latest news on dirty tar sands pipelines, the ocean plastic pollution crisis, and what’s going on with the world’s top maker of smartphones share recurring themes as well. 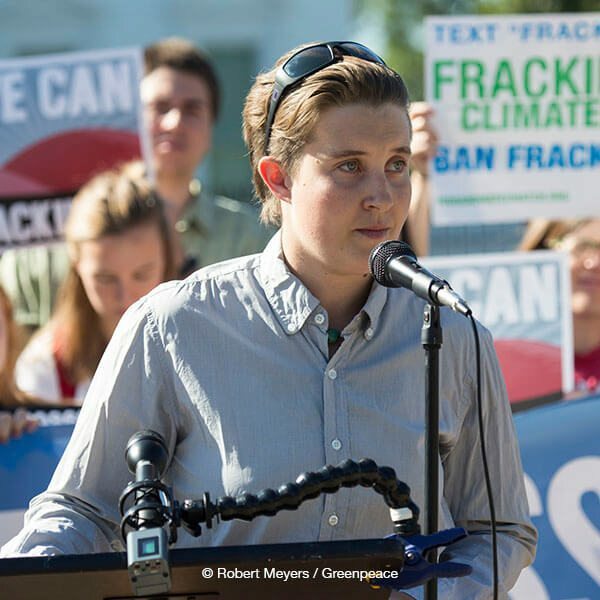 All of these things are crucial to saving our climate and holding corporations accountable. To stop global warming we need healthy oceans and forests, and for our oceans and forests to have a better future, we have to hold corporations responsible for environmental practices. 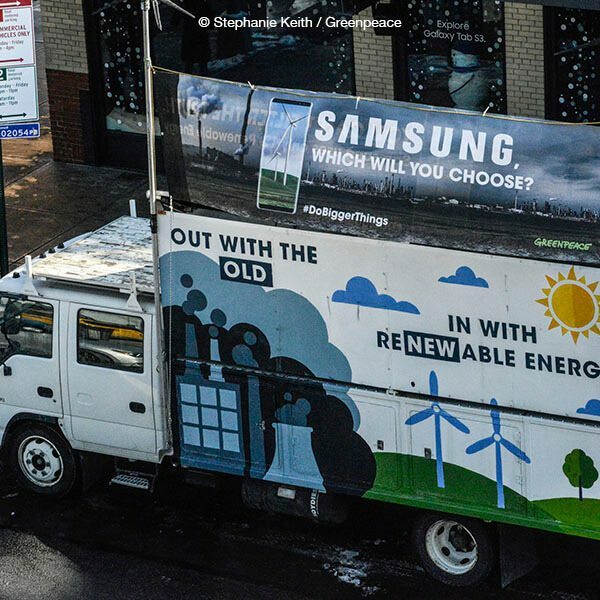 We need companies like Samsung to get on the renewable energy bandwagon and big banks like JPMorgan Chase to defund climate-destroying tar sands pipeline projects. And to rescue our oceans and marine wildlife choking on plastic, we need the big producers of single-use plastics like Coca-Cola to stop making them. But the most important thread running through everything Greenpeace does is you. Your love of the natural world and your commitment to our mission to preserve and protect it makes all of this work possible. Thank you. 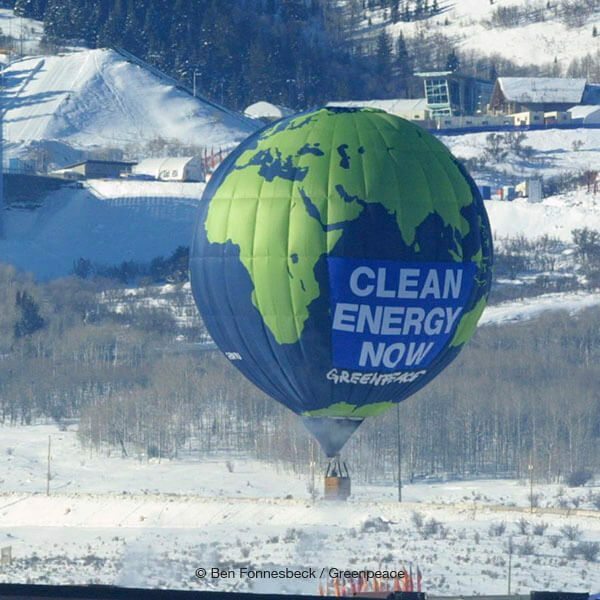 Greenpeace, Inc. is the leading independent campaigning organization that uses peaceful direct action and creative communication to expose global environmental problems and promote solutions that are essential to a green and peaceful future. Please visit greenpeace.org to learn more about Greenpeace, Inc., and greenpeacefund.org to learn more about Greenpeace Fund, Inc. Following its tour of the U.S. Atlantic Coast, the Arctic Sunrise pointed its bow south toward Punta Arenas in Chile. From there the ship then departed for the Weddell Sea in early January for a three-month-long ship expedition to wild and faraway places like Cape Disappointment, Desolation Island, Exasperation Inlet, Danger Island, and Erebus and Terror Gulf. The ocean surrounding Antarctica is one of the last true marine wildernesses on the planet. Its rich biodiversity supports fish, birds, and mammals. The ice coverage in Antarctica makes up 90 percent of the world’s ice and approximately 95 percent of the continent is covered by permanent ice or snow. The landmass and surrounding waters provide essential nutrients to the rest of the world’s oceans, supporting ecosystems thousands of miles from the South Pole. In the 1980s, as oil and mining companies eyed the natural deposits underneath Antarctica, it took a global movement to stop them. 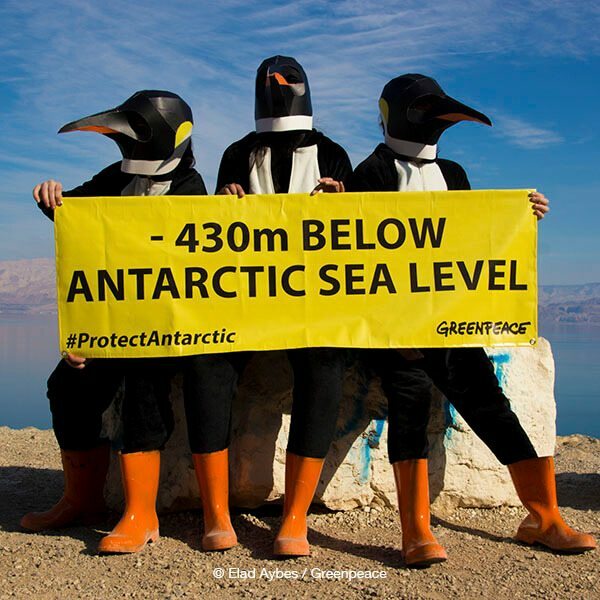 Millions of people worked together to protect the Antarctic’s land, and the legacy of that movement is clear today—extractive industries are forbidden across the entire landmass of the continent. Now it’s time for us to make sure the Antarctic Ocean is protected, too. 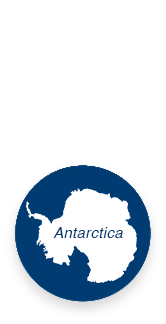 In 2018, we have the opportunity to create the largest protected area on Earth: an Antarctic Ocean Sanctuary. It would form a safe haven for penguins, whales, and seals, and put the waters off-limits to the industrial fishing vessels sucking up the tiny shrimp-like krill, on which Antarctic life relies. The fishing industry is looking to expand and is targeting krill, which sits near the bottom of the food chain and is the one species on which practically every animal in the Antarctic relies. 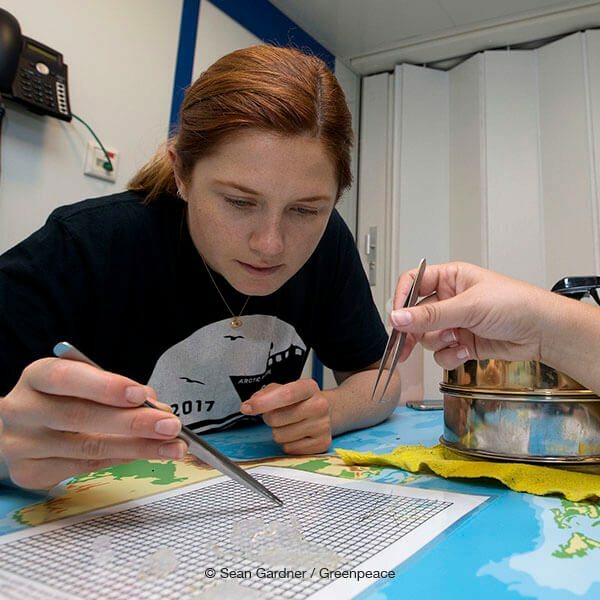 These small crustaceans no bigger than your little finger ensure the survival of the biggest creatures on Earth—like blue whales, sperm whales, and humpback whales—alongside most other wildlife in the Antarctic. Without krill, most life forms in the Antarctic would vanish. But the krill industry and the governments that back it are blocking attempts to protect Antarctic waters. The Greenpeace ship, the Arctic Sunrise, is drawing attention to the vital role krill fulfills and the better future that we want to see for this most amazing place in our world. 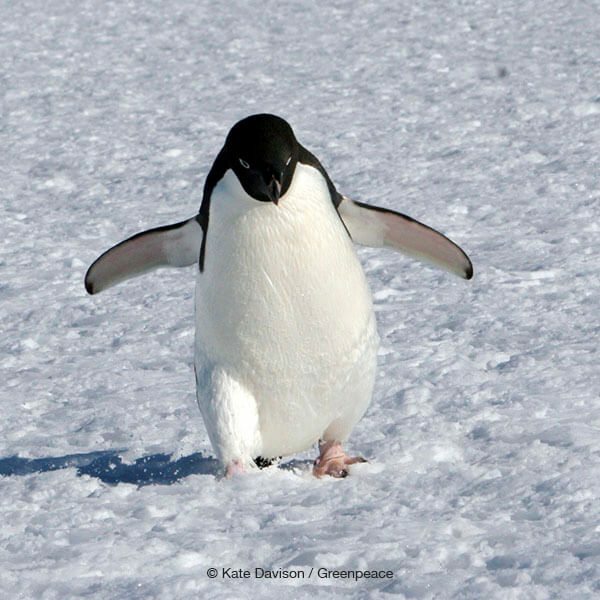 With a changing climate already placing wildlife under pressure, an Antarctic Ocean Sanctuary will prevent the krill industry from taking food away from penguins and whales and provide relief for beleaguered wildlife populations to recover and thrive. 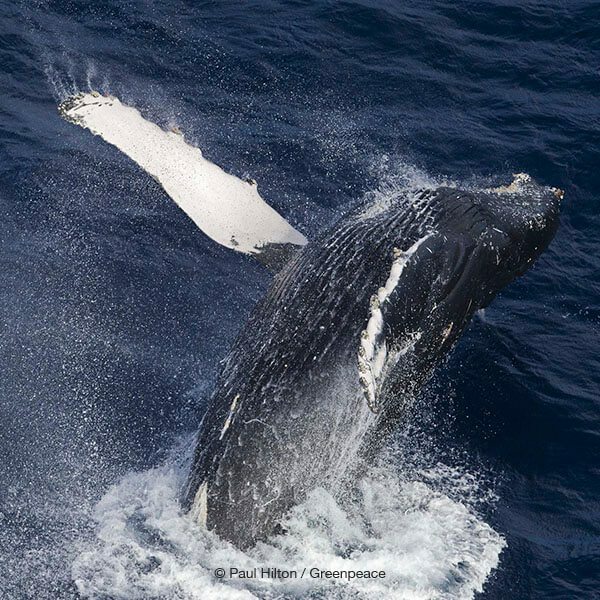 The benefits of ocean sanctuaries are global. Healthy oceans play a crucial role in soaking up carbon dioxide, helping us to avoid the worst effects of climate change. And they provide food security for billions of people who rely on the sea. Our fate and the fate of our oceans are intimately connected. 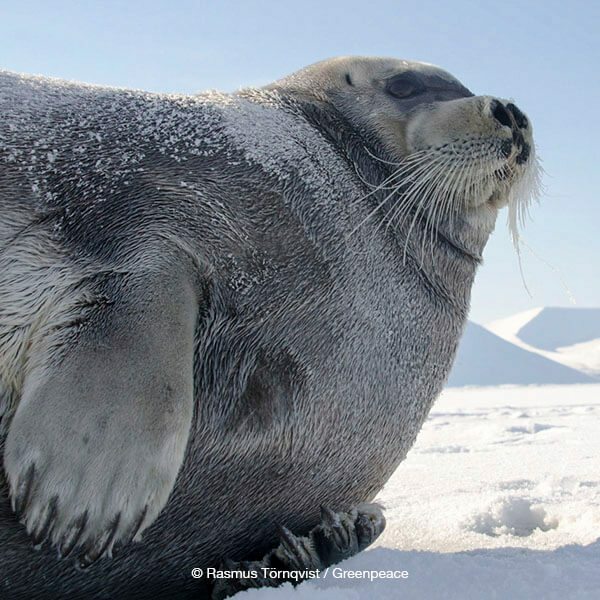 With the Arctic Sunrise’s expedition to the South Pole, Greenpeace hopes to inspire people around the world with stories of this extraordinary place and its precious marine wildlife. Together, we can protect them forever. Wandering albatross: The Wandering albatross is one of the largest bird species, with a wingspan up to nearly 12 feet. The decline of the albatross has been driven by longline fishing, as these great ocean wanderers fly thousands of miles in search of food at sea, feeding in key commercial fishing grounds. Rockhopper penguin: The gregarious Rockhopper is among the world’s smallest penguins at about 20 inches tall, and Rockhoppers bound rather than waddle as most other penguins do. Commercial overfishing, pollution, and other factors have cut the penguins’ numbers dramatically, with some estimates saying they’ve declined by more than 30 percent since 1970. Blue whale: The largest animal on Earth, the magnificent blue whale was hunted to the brink of extinction in the 1900s and has only managed a minor recovery since coming under protection. These graceful ocean monarchs can grow up to 100 feet long and weigh upwards of 200 tons. This past November, I traveled to Florida to greet the Arctic Sunrise as it arrived at the Port of Miami to wrap up its U.S. Atlantic Coast tour. Standing on the ship as it pulled in was actress and film director Bonnie Wright, who had hopped on board to join the crew as they departed the Bahamas just a couple of days earlier. 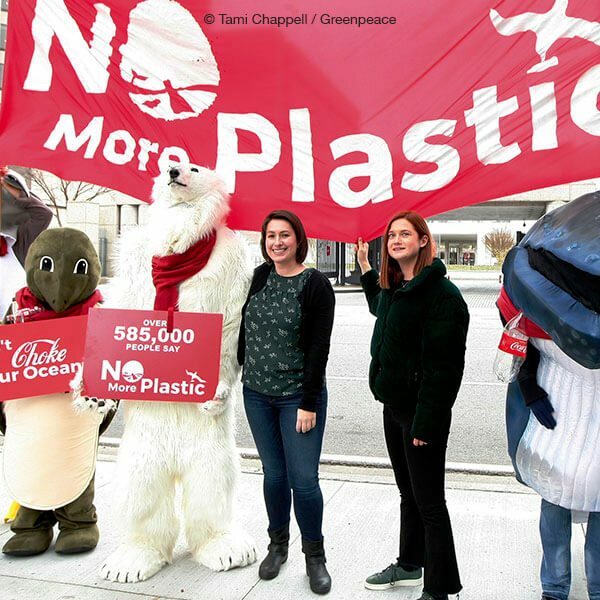 Bonnie flew across the country to stand with Greenpeace as we sailed down the coast to raise awareness about our Ocean Plastics campaign and to encourage thousands of people to join us in our quest to end global dependence on single-use plastics. Bonnie, an avid surfer and big lover of oceans, had been feeling frustrated about the amount of plastic she was seeing polluting our waters, and she wanted to partner with Greenpeace to tackle this critical issue. During her time on the ship, Bonnie took on all of the responsibilities of the crew. 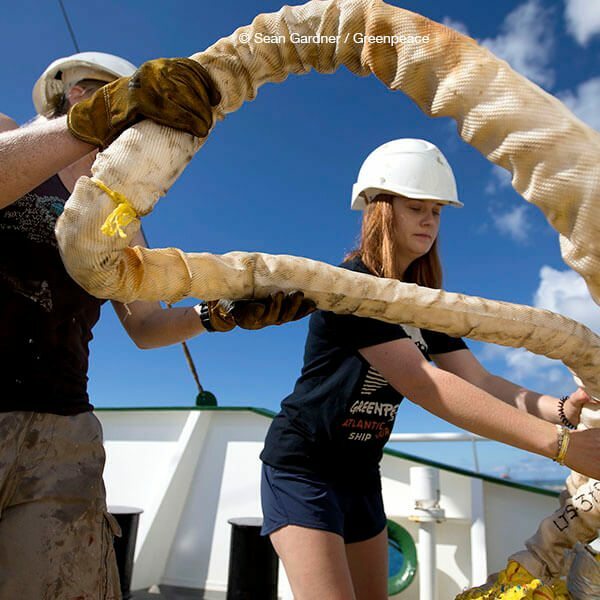 She did chores, conducted micro-plastic analysis, went out to trawl for plastics, and did beach clean-ups. Bonnie also kept her fans updated through social media, asking them to sign petitions and commit to ending their dependence on single-use plastics. 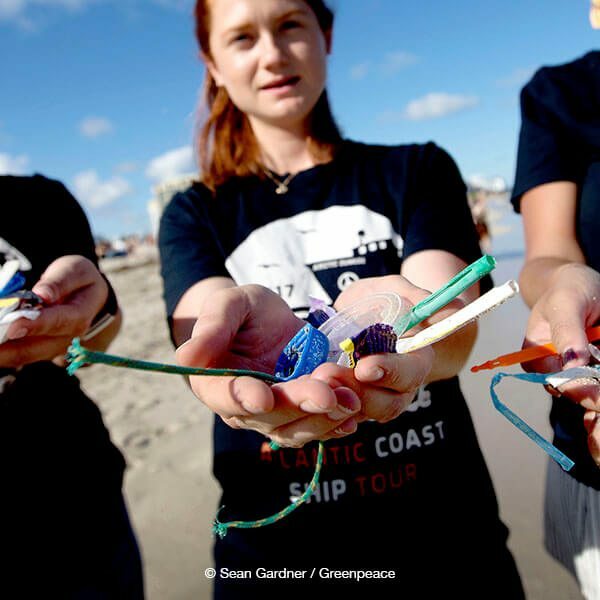 Director and Harry Potter actress Bonnie Wright joined Greenpeace’s ship tour along the Atlantic seaboard to bring attention to the ocean plastic pollution crisis. Coca-Cola is one of the largest culprits of plastic pollution, and Bonnie wasn’t afraid to call them out. She knew that educating people about the issue was an important first step, but asking them to take action on the matter was just as critical. 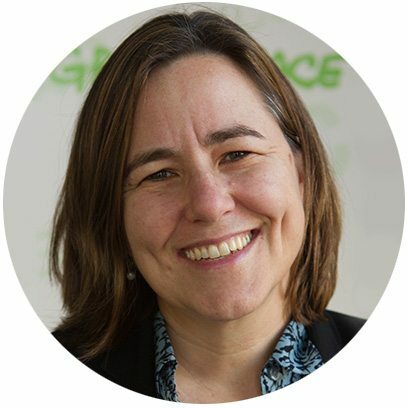 Bonnie participated in a Greenpeace Live webinar where she talked about the ins and outs of ship life and asked everyone who called in to make real change in their lives and stop purchasing single-use plastics. 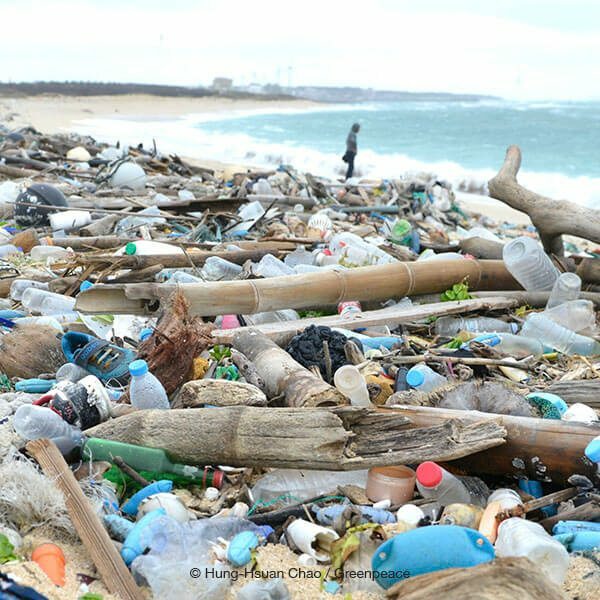 Even for those who don’t live on the coast and don’t witness the damage that plastics do to our oceans, we must end the pervasive dependence on these throw-away products and packaging to stop the plastic pollution choking our oceans. The Trump administration is moving to carve up every last inch of this country so that corporate polluters can line their pockets. Most recently, Trump significantly reduced the size of both Bears Ears and Grand Staircase-Escalante National Monuments in Utah. The Bears Ears Inter-Tribal Coalition, the consortium of five tribes that co-manages the monument with the Bureau of Land Management and the Forest Service, condemns these decisions. By dramatically shrinking Bears Ears and Grand Staircase-Escalante, Trump is doing the bidding of mining and drilling companies while disregarding both Indigenous rights and more than one million public comments, nearly 100 percent of which supported protection of these public lands. What could have been protected for generations to come now face the risk of becoming exploited wastelands, thanks to an Interior Department full of oil and gas errand-boys like Interior Secretary Ryan Zinke and Deputy Secretary David Bernhardt. The public response to the Trump administration’s review of nearly 30 public land and marine monuments broke records, and the sentiment that these lands and marine regions should remain protected was nearly unanimous. From Alaska to Utah, people should challenge this undemocratic move by the Trump administration and support Indigenous tribes that are preparing to go to court yet again to fight for what is theirs. In response to the powerful alliance of Indigenous communities and climate activists who stood in opposition to the Dakota Access Pipeline, Energy Transfer Partners, the company behind the pipeline, has filed a lawsuit against Greenpeace and others. It is a blatant attempt to silence advocacy work and attack the fundamental right to free speech. 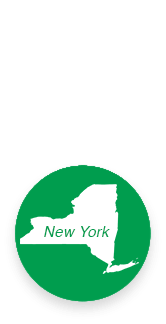 Energy Transfer Partners filed a “Strategic Lawsuit Against Public Participation” (SLAPP) suit, a tactic corporations use to try and censor, intimidate, and silence critics by burdening them with legal claims and costs until they’re forced to abandon their criticism or opposition. The goal of this suit is to silence dissent by misrepresenting what happened on the ground at Standing Rock, making outrageous and racist claims that big environmental organizations like Greenpeace orchestrated the Indigenous-led movement against the Dakota Access Pipeline. It’s a baseless attempt to mislabel legal advocacy as criminal conduct through the use of these racketeering laws, and present Constitutionally-protected free speech as defamatory. In 2016, Canadian company Resolute Forest Products filed a SLAPP suit against Greenpeace, which was dismissed in full by a U.S. federal judge. But the use of this abusive legal tactic by corporations is on the rise. As we face an upswing in a new global right-wing agenda, governments and corporations around the world are attempting to chip away at free speech. And it’s not just environmental groups. SLAPP suits are designed to send a loud message so that any activist or public-interest advocacy group that takes on giant corporations will have to think twice before standing up for what they believe in. Just like the Resolute case, the Standing Rock lawsuit was filed by Michael Bowe, a member of Donald Trump’s personal legal team and part of the law firm Kasowitz Benson Torres. Bowe has publicly stated that he is in conversations with other corporations considering filing their own SLAPPs against Greenpeace. It seems this corporate bullying and anti-democratic, dissent-suppressing s cheme is being shopped around to the highest bidder. There are many, many examples of SLAPP suits. Last year, coal magnate Bob Murray sued John Oliver after Last Week Tonight ran a segment on coal which prominently featured Murray. In the last 15 years, Murray and/or his company have also sued various other journalists. The ACLU represented individuals in Uniontown, Alabama—a poor town predominantly made up of people of color—who were sued by Green Group Holdings for $30 million for standing up to a coal ash landfill in their community. Due to public outcry and the support of the ACLU, the residents reached a settlement and Green Group Holdings agreed to better environmental protections—but they shouldn’t have had to deal with this corporate bullying in the first place. There are hundreds of others across America and beyond who won’t be so lucky. You can take action against this SLAPP at greenpeace.org/usa/standingrock, and find more information about how you can fight back against SLAPPs generally. 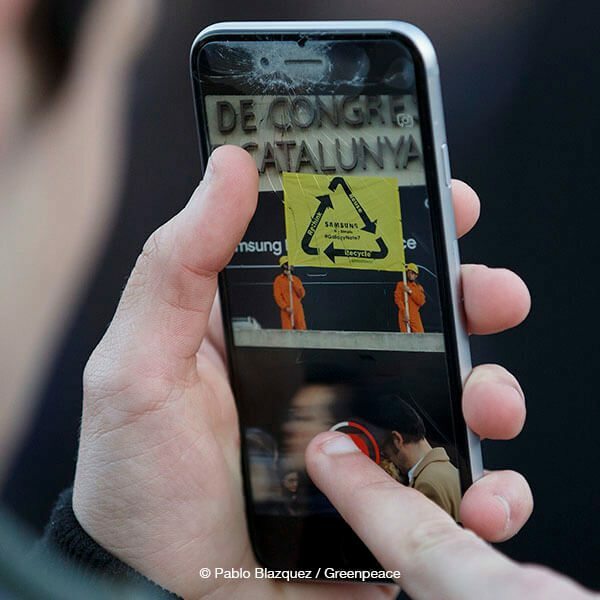 New York City Greenpeace Volunteers Tell Samsung to Clean Up Its Act! Samsung is not only the largest manufacturer of smartphones worldwide, it is also a supplier of key components to many other smartphone brands. Yet this global industry leader is still using dirty, polluting energy sources to make the millions and millions of gadgets many of us use every day—19th century coal to make 21st century technology. In fact, Samsung even admitted the company uses only 1% renewable energy in its production. In 2016 alone it produced about 400 million smartphones, provided parts for other companies like Apple, Huawei, and even Tesla, and raked in a profit of $10 billion! 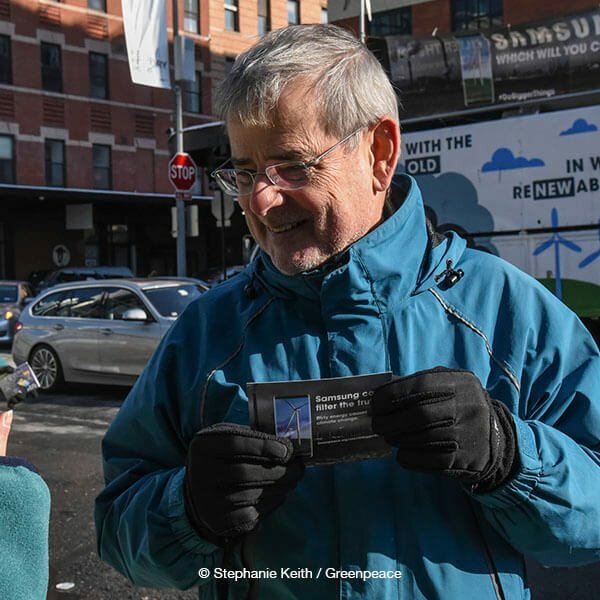 So a dedicated crew of awesome Greenpeace volunteers took to the streets of New York City on a cold Sunday morning right in front of Samsung’s flagship U.S. store. 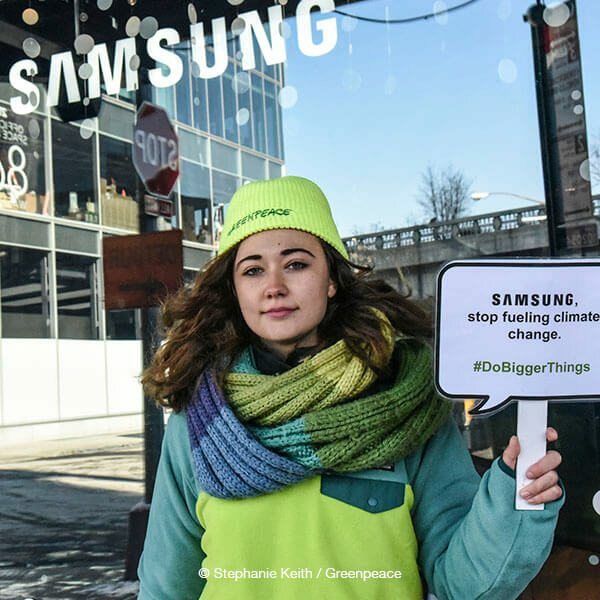 Samsung advertisements tell us to “do bigger things,” so we used the famous Greenpeace solar truck called the Rolling Sunlight to convince Samsung to actually #DoBiggerThings—stop fueling climate change and switch to renewable energy. Volunteers talked to people on the street, took photos, and shared our petition. And thanks to these actions, Samsung already responded publicly, saying they would release a plan in August 2018. We asked Samsung to meet the challenge: Match Apple’s commitment to 100% renewable energy. “I think that climate change is one of the major challenges of our time. It’s an opinion I’ve expressed a lot over the last couple of years and it’s why I support Greenpeace. I don’t think many people know about Samsung’s environmental performance or the opportunity the company has to do better. I know I didn’t. I have a Samsung phone myself. 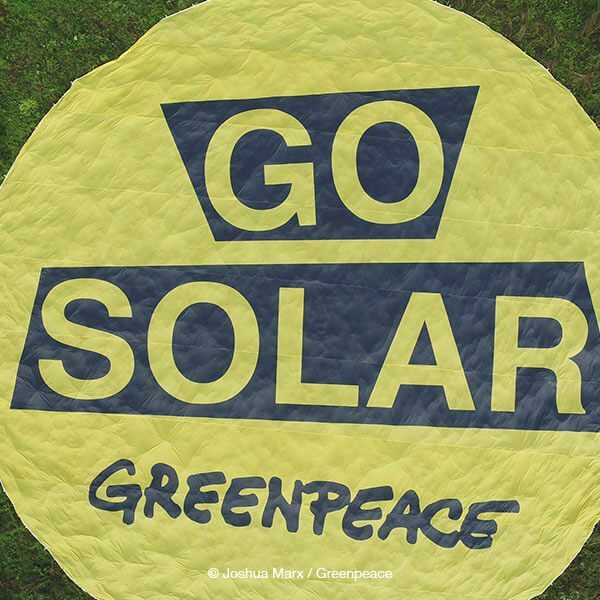 When I saw that Greenpeace had started a campaign to get Samsung to use renewable energy, I felt a responsibility to participate. Otherwise, I’d just be part of the problem. Participating in the Samsung renewable energy campaign allows me to be part of the solution. Behind innovative technology lie manufacturing processes still reliant on dirty energy, dangerous mining practices, hazardous chemicals, and poorly designed products that drive consumption of the Earth’s resources. This hidden reality stands in stark contrast to the forward-thinking, environmentally conscious image most IT companies project. 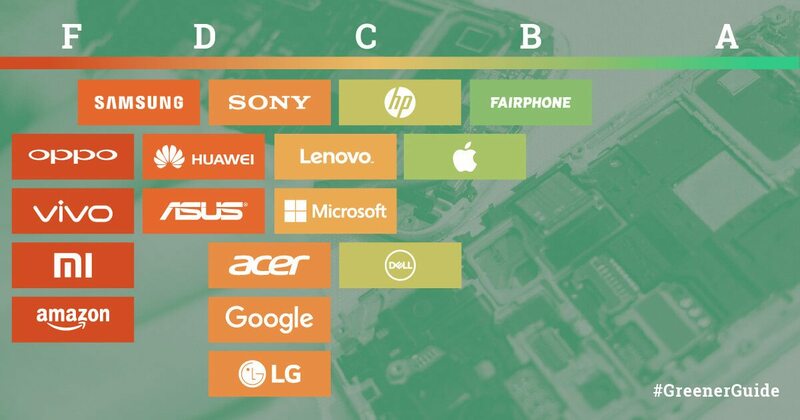 Since 2007, Greenpeace has produced the Guide to Greener Electronics to rank companies on their use of toxic chemicals in our devices. Our latest edition, released in October 2017, goes further to measure tech companies efforts in 3 areas: energy use, natural resource consumption and chemical elimination. Find out how the makers of your gadgets stack up, and what you can do to extend the useful life of the gadgets you own. 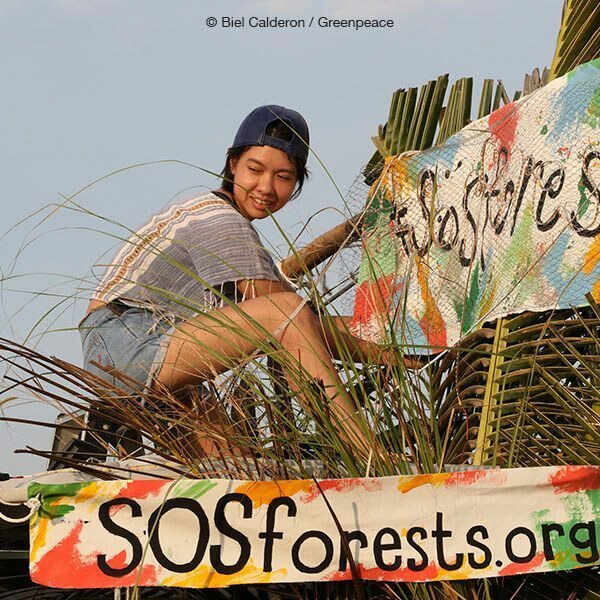 The palm oil industry is illegally clearing forests and draining peatlands on a massive scale. This deforestation-linked palm oil ends up in products like cookies, soaps, and shampoos on store shelves around the world. While the government of Indonesia has signaled that forest protection is a priority, the follow-through has not revealed major change. That is why Greenpeace is holding companies, who have looked the other way for years, accountable for the palm oil they buy. Forests are key to tackling climate change and are vital for people and the health of our planet. Indonesia’s forests include carbon rich peatland, which store an enormous amount of carbon. This is equivalent to six times the amount of carbon released every year by fossil fuels. These peatlands are often drained to provide suitable conditions for palm oil plantations, which causes significant carbon emissions and deadly fires which pollute our climate and harm human health. Indonesia’s forest fires are a recurring human health and environmental crisis. These fires affect urban and rural populations alike and result in respiratory illness, premature deaths, and displacement. The human-caused massive forest fires of 2015 created a deadly haze crisis that spanned across Indonesia to the bordering countries of Singapore and Malaysia. An estimated 100,000 premature deaths in Southeast Asia may have been caused by the deadly haze. A catastrophe of this scale has become a new reality for the people of Indonesia and neighboring countries. The rainforests of Indonesia are home to some of the world’s most endangered land mammals. Forest destruction in Indonesia has pushed a number of critically- endangered species to the brink of extinction. In 2016, the International Union for Conservation of Nature changed the classification of the Borneo orangutan from “endangered” to “critically endangered” as a result of deforestation. The newly discovered orangutan species Tapanuli are already at risk of extinction as a result of the ongoing forest clearance. In addition to threatening the orangutans survival, deforestation has also nearly wiped out the Sumatran tiger population, with only around 400 remaining today. Forest destruction driven by industrial large-scale palm oil plantations has led to the exploitation of workers, with allegations of the use of forced child labor in Indonesia and Malaysia. Investigations by human rights groups link the trafficking of workers to palm oil plantations while further documenting the exploitation of workers and hazardous working conditions. The rapid growth of palm oil production comes at the cost of displacing Indigenous and neighboring communities from their lands. Palm oil production is rapidly moving into frontier areas that are more remote throughout Southeast Asia and West Africa. In these areas the forests are ecologically diverse and the communities that live there are dependent on the forests for their livelihoods. Collective and individual land rights are too often sacrificed in these regions for agribusiness. A Victory for People Over Pipelines! Taking an estimated billion-dollar loss, TransCanada scrapped the Energy East pipeline that would have transported up to 1.1 million barrels of crude tar sands oil daily from Alberta across Eastern Canada. TransCanada’s decision is a huge victory for the First Nations, workers, and activists who have resisted this project for years and it sets back efforts by energy companies to send more oil overseas. It’s a victory that should be shared by everyone continuing to stand up to reckless tar sands expansion and these destructive, dirty pipelines that threaten our communities, our drinking water, Indigenous sovereignty and human rights, and our fight against climate change. 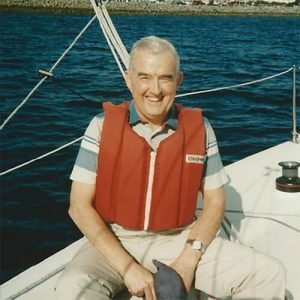 Greenpeace supporter John Tanton died in 2014. This year he will help us establish the largest protected area in the world to protect whales and other marine wildlife in the Antarctic Ocean.